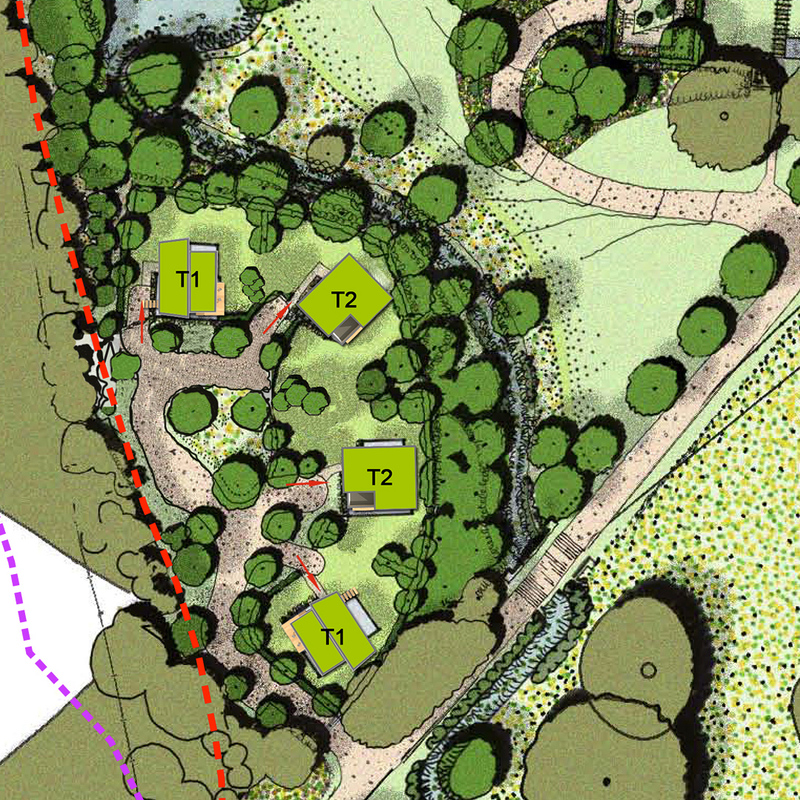 We were approached by Berkeley Group to consider a concept design for four dwellings within a sensitive area forming part of a larger residential scheme in Trent Park, North London. The site lies between a woodland and the Mansion House, the former University of Middlesex Campus and is within the Register of Parks and Gardens Special Historic Interest in England. 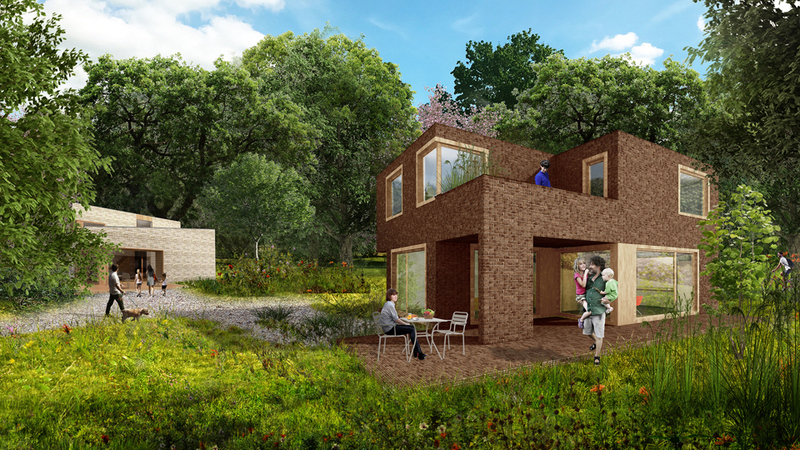 We proposed two sustainable house types in response to their natural setting that open out to the woodland with varying framed views. 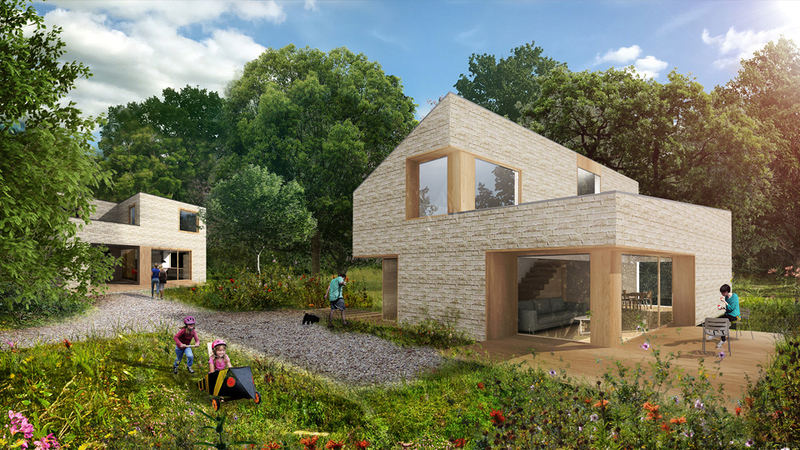 Both house types embrace the natural surroundings with bright spacious layouts that open out to the communal meadow gardens and woodland beyond. Each house accommodates 4 bedrooms and generous communal spaces. These homes would be built using Modern Method of Construction with traditional facing brickwork to the external skin and offsite fabricated cross-laminated timber structure. The external brickwork takes some reference from the Mansion House at Trent Park.